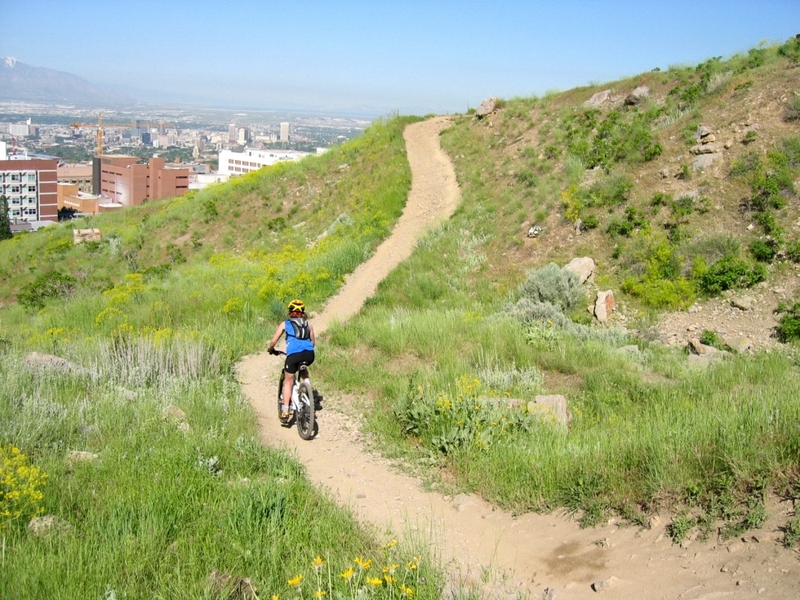 The Bonneville Shoreline Trail between the mouth of Emigration Canyon and Red Butte Canyon and the foothills it traverses constitutes one of the most heavily used recreational open space areas in the state. The area behind the University of Utah’s Research Park is currently suffering from a lack of management and trail maintenance that has resulted in numerous unsustainable user-created trails that are degrading the landscape. Much of this is due to the complexities of managing trails that thread through multiple properties and jurisdictions where there is no agreement or funding mechanism in place to ensure a cohesive, healthy, trail system and protect surrounding open space. TRAILS UTAH is working with the University of Utah, This is The Place State Park, the Natural History Museum of Utah, and others to develop a plan to reroute and rehabilitate existing trails, create several new trails, establish comprehensive and informative signage throughout the area, and create an agreement and funding strategy that can care for these trails and open space into the future. TU is currently developing a trails proposal to be submitted to stakeholders to be completed summer 2014. We await approvals from property owners allowing us to move forward with trail planning, design, and fundraising.